Flora Mackie first crossed the Arctic Circle at the age of twelve. In 1889, the whaler's daughter from Dundee - dubbed by the press 'The Snow Queen' - sets out to become a scientist and explorer. She struggles to be taken seriously but determination and chance lead her back to northern Greenland at the head of a British expedition, despite the many who believe that a young woman has no place in this harsh world of men. Geologist Jakob de Beyn was raised in Manhattan. Yearning for wider horizons, he joins a rival expedition, led by the furiously driven Lester Armitage. When Jakob and Flora's paths cross, it is a fateful meeting. All three become obsessed with the north, a place where violent extremes exist side by side: perpetual night and endless day; frozen seas and coastal meadows; heroism and lies. Armitage's ruthless desire to be the true leader of polar discovery takes him and his men on a mission whose tragic outcome will reverberate for years to come. 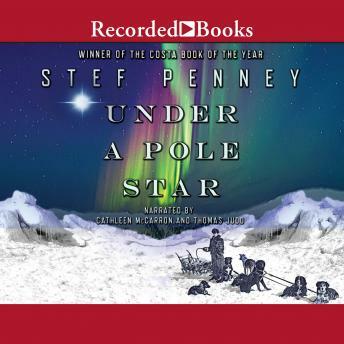 Set against the stark, timeless beauty of northern Greenland, and fin-de-siecle New York and London, Under a Pole Star is a compelling look at the dark side of the 'golden age' of exploration, a study of the corrosive power of ambition, and an epic, incendiary love story. It shows that sometimes you have to travel to the furthest edge of the world in order to find your true place in it.